Nhớ thầm người cũ giấc mông lung. Bàn luận văn hay mưa mịt mùng. Nguyễn Thượng Hiền (阮尚賢, 1868-1925), courtesy name (字, tự) Đỉnh Thần (鼎臣) spent the last decade of his life wandering around China, narrowly escaping detection and death on many occasions. When he left Vietnam around 1910, perhaps he did not know that he would never return. His poems from this period of constant travel are at times filled with anger, sorrow, and loneliness but almost always reaffirm his confident hope in a victorious return to Vietnam in the future. As a part of this continuing series of translations from his writing, I have translated three poems written when he was traveling in China. The third of these poems was written before traveling to Hangchow, where he would eventually pass away. 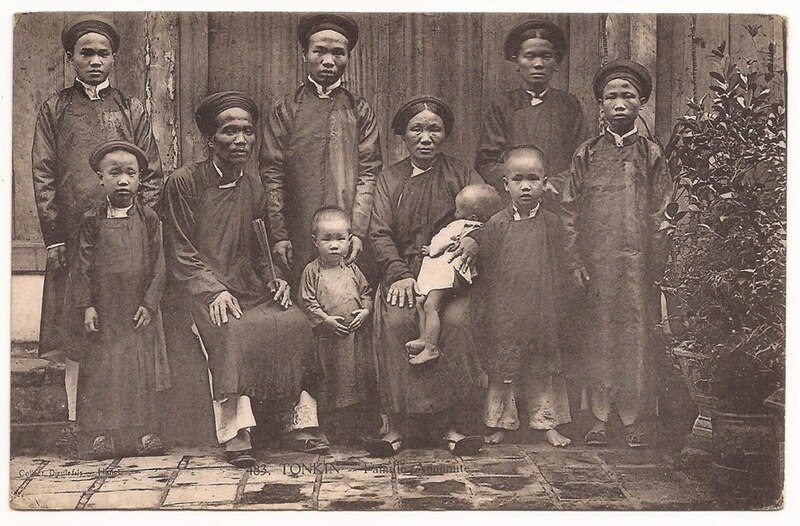 Nguyễn Thượng Hiền (阮尚賢, 1868-1925), courtesy name (字, tự) Đỉnh Thần (鼎臣), traveled extensively through East Asia and made acquaintance with like-minded revolutionaries in Japan, Korea, and China. Along his travels, he corresponded with both his Vietnamese and non-Vietnamese friends through classical Chinese poetry, which, at the time, was still a shared written lingua franca across China, Vietnam, Korea, and Japan. As a part of this continuing series of translations from his poetry, this post presents several of these poems written for his friends. At the Five Tombs, who are left of my acquaintances? – Sent to all my friends in the capital (寄都中諸友, Ký đô trung chư hữu), this poems was most likely written when the author was somewhere in China. The capital most likely refers to the the city of Huế (順化, Thuận Hóa), the capital of the Nguyễn dynasty. -Nguyễn Thiện Thuật (阮善述, ?-? ), courtesy name (字, tự) Mạnh Hiếu (孟孝) was a native of Hải Dương province (海陽省, Hải Dương tỉnh). He led military campaign against the French for over a decade before fleeing to China after his forces began to weaken. 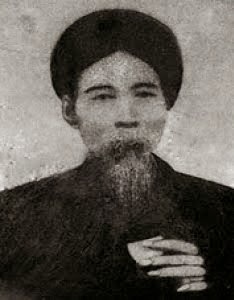 – master Taiyan (太炎先生, Thái Viêm tiên sinh) was a pen-name (號. hiệu) of Chương Bỉnh Lân (章炳麟, 1868-1936, courtesy name (字, tự )Mai Thúc (枚叔) , a Chinese revolutionary and philosopher. -This poem refers to the author’s plans to take advantage of France’s involvement in the first World War to launch a military strike against them in northern Vietnam. It is possible that it was written late in 1915. Nguyễn Trường Tộ (阮長祚, 1830–1871) was Roman Catholic scholar, reformer, and architect active during the reign of emperor Nguyễn Dực Tông (阮翼宗, 1829-1883) of the Nguyễn dynasty. He was born in the province of Nghệ An (乂安) in central Vietnam. As a youth, he studied privately with retired scholars and gained a reputation as a well-learned scholar in the Confucian classics. As a Roman Catholic, he was forbidden to take part in the imperial examinations. He made a living through teaching classical Chinese in private and at a Roman Catholic seminary. 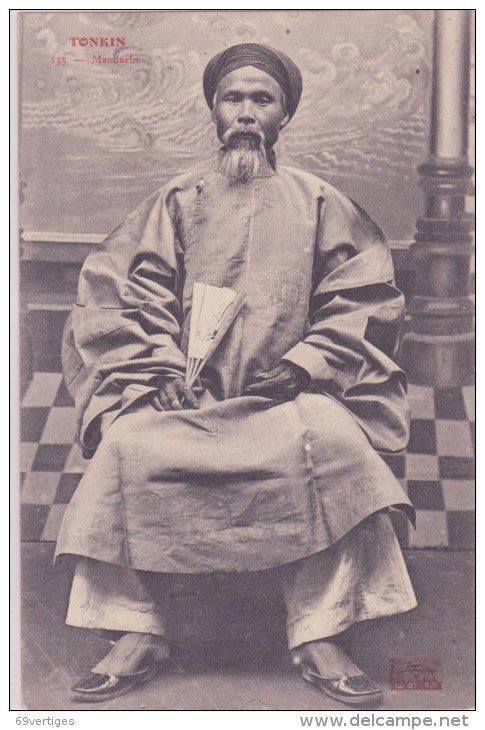 Under the tutelage of bishop Jean-Denis Gauthier (1810-1877), also know by his Vietnamese name Ngô Gia Hậu (吳嘉厚), Nguyễn Trường Tộ also became one of the first Vietnamese scholars to become fluent in French and well versed in European culture and government. Although it is certain that Gauthier accompanied him to Hong Kong and various other places in the region, it is not certain whether or not Nguyễn Trường Tộ went to France prior to 1867 when he sent as part of an official delegation by emperor Nguyễn Dực Tông. – Đà Nẵng (沱曩) is a coastal city that has the largest harbor in central Vietnam. It was a crucial port for trade and the site of a French naval invasion during the Nguyễn dynasty. The territory ended up being ceded to the French. It was to this area that Nguyễn Trường Tộ initially accompanied Bishop Gauthier to escape persecution of Roman Catholics in his home province. Hồ Huân Nghiệp (胡勳業, 1829-1864) was a scholar and among the first Vietnamese to give up his life fighting the French in southern Vietnam. He was born in the village of An Định (安定), which is located in modern day Saigon. 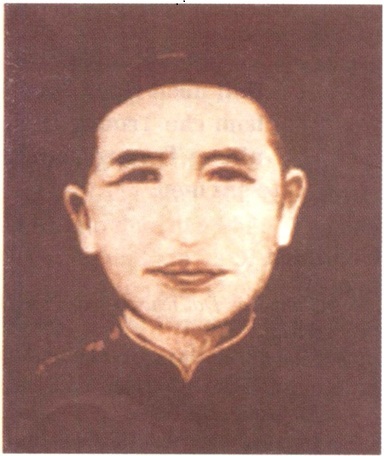 His courtesy name (字, tự) was Thiệu Tiên (紹先). After his father’s death, he built a temporary house by the grave from which he maintained his father’s grave, took care of his mother, and gave private instruction to students. Following 1859, he assisted the martial officialTrương Định (張定, 1820-1864) in waging a guerrilla war against the French in defiance of the Treaty of Saigon, signed in 1862 by emperor Nguyễn Dực Tông (阮翼宗, 1829-1883), better known by his reign title (年號, niên hiệu) Tự Đức (嗣德). This treaty surrendered the city of Saigon, the Côn đảo (昆島) islands, and three southern provinces to the French. Before leaving to assist the rebellion, he married so that his mother would have someone who could take care of her. After Hồ Huân Nghiệp was captured and apprehended in 1864, he refused to submit and was beheaded. Before his execution, he washed his face, straightened his robes, and recited the following poem. He was 35 years old. -The first line of this poem is a reference to a quote from The Analects (論語, Luận ngữ): 「見義不為，無勇也。」 (Kiến nghĩa bất vi, vô dũng dã). James Legge translates: To see what is right and not to do it is want of courage. -Cao đường (高堂), literally ‘lofty hall’ is a term of respect used to refer to one’s parents. 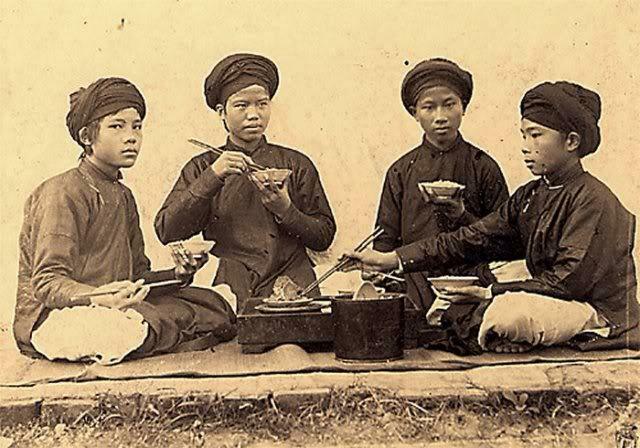 Nguyễn Khuyến (阮勸, 1835-1909) was a native of the Nam Định (南定) province in northern Vietnam. His original given name was Thắng (勝) and his courtesy name (字, tụ) was Miễn Chi (免之). He was well-known for his wide knowledge and quick wit. An upright official, he resigned from his government post in the autumn of 1884 and returned to Yên Đổ (安堵) in his home province where he lived in retirement, teaching privately until his passing in 1909. His later poetry shows his lament for the times, as the French threat to the Nguyễn dynasty’s sovereignty became more apparent. Today, he is well remembered for both his Chinese and Vietnamese poetry. 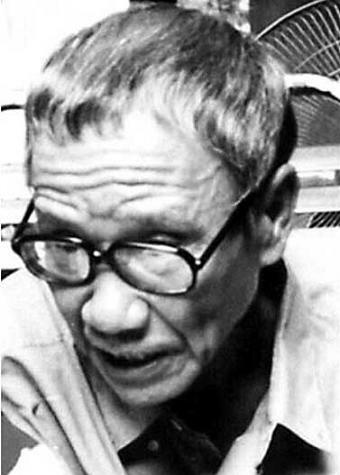 He often translated his Chinese poetry into Vietnamese poetry and vice versa. In Vietnam there are many schools and streets named after him. Ma Xuân Đạo (麻春道, 1931?-2009?) was born in Quảng Bình (廣平) province. He immigrated to South Vietnam in 1954 after the Geneva Conference split Vietnam into the communist North and democratic South. A rather intriguing figure, reliable details of his life are difficult to find. It seems that before 1975 he worked various positions as a lecturer, journalist, and political theorist. After the communist victory in 1975, he was put in a concentration camp for anti-government activity. After release, he wandered around homeless, working menial jobs such as tending cattle. According to some sources, he passed away in 2009 in a Buddhist temple, while weaning himself from alcoholism that had plagued his entire life. His one collection of poetry, “Written in the state of Qin” (秦中作, Tần trung tác) is a collection of Chinese poetry which he then translated himself into Vietnamese poetry. The title of the collection compares communist Vietnam to the tyrannical Qin dynasty. He also went by the pen name (號, hiệu) Ma Tửu (魔酒). 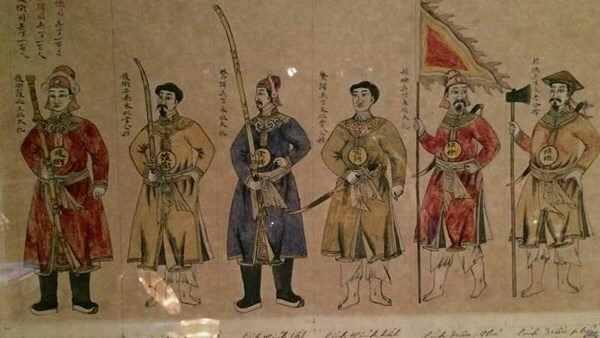 -Zhang rebels (張曹, Trương tào) is a reference to a petty group of rebels during the Eastern Han dynasty. In this poem it is a reference to the Communists.